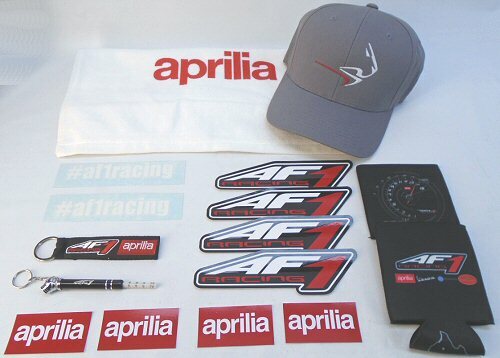 If you know an Aprilia rider but are short of ideas on what to get them, this Aprilia themed gift assortment is just what you've been looking for! Use all of the above goodies to stuff stockings or present as a complete Aprilia Gift Kit. This is the 2018 version of the Aprilia Gift Kit. *Please note, products in this kit are not official Aprilia parts or accessories.